Asset Tracker Basic is designed as a database utility, providing an easy way for anyone to keep track of and categorize any item(s) they wish. Anywhere from your personal belongings to your business inventory can all be stored in one easy to access and easy to understand database. Useful if you are trying to get a loan. Inventory your belongings in case of fire. 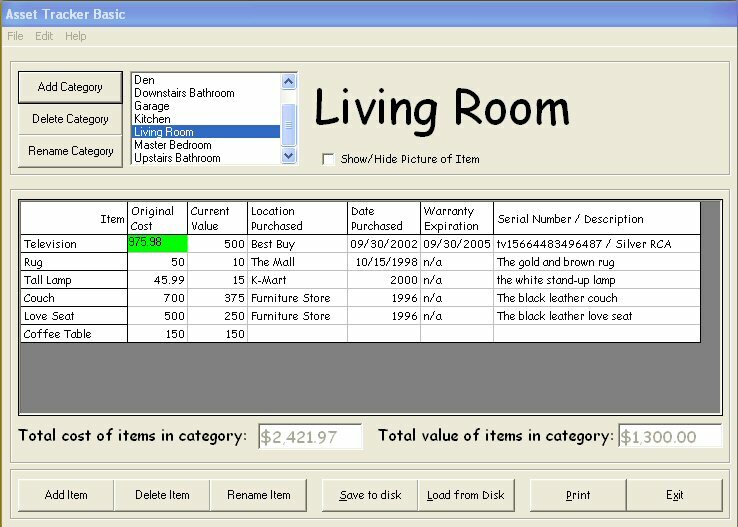 You can also use this program just to keep track of the original cost, current value, date purchased, location purchased, warranty expiration, serial numbers, item descriptions, and pictures of any and all of your belongings. 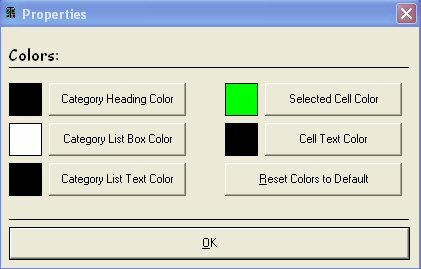 Has options to change colors in the program to meet your style. This is a great standalone program. Easy to install and fun to work with. How is Asset Tracker Basic any different than other programs out there? Asset Tracker Basic is a very simple and easy to use program. If you know how to use a mouse and a keyboard, you can use this program. Why get programs for $50 where you have to spend hours learning it and spend hours creating your database. Asset Tracker basic is a very simple, yet useful, inventory database utility. Asset Tracker Basic allows you to customize the appearance of the program to fit your style. Change many colors in the program to fit your likings. Asset Tracker Basic also allows links to pictures for all of your items. Link pictures to the items you have in your database to keep a more accurate and real database. Pratyush e-Card - A configurable greetings card written in pure Java which can be customized for any occasion and for any one.